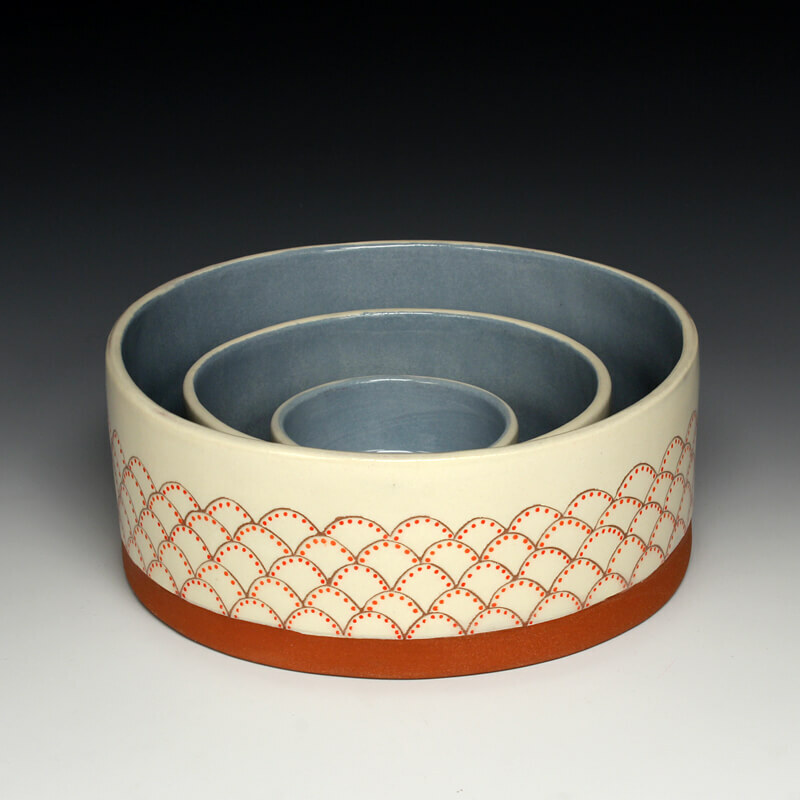 “My designs are influenced by simplified abstractions of nature, children’s artwork, folk art, mid-century modern forms and shapes, as well as many books on ceramics and design. I am intrigued by the variation and imperfections found in hand-made objects, and the ways in which these marks reflect the maker of the piece. A slight change in the profile or image on a cup determines whether a person will be drawn to one over another. It is interesting when a particular object speaks to me, and I decide that I’d like to have it in my life.